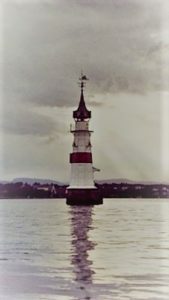 «Kavringen lighthouse» in the inner part of the Oslofjord. Kavringen Lighthouse the Time Capsule. 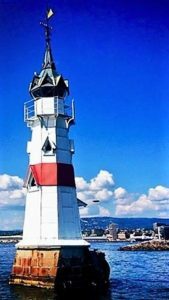 Until 1892 there were only two lighthouses in Oslo harbor Heggholmen and Dyna. 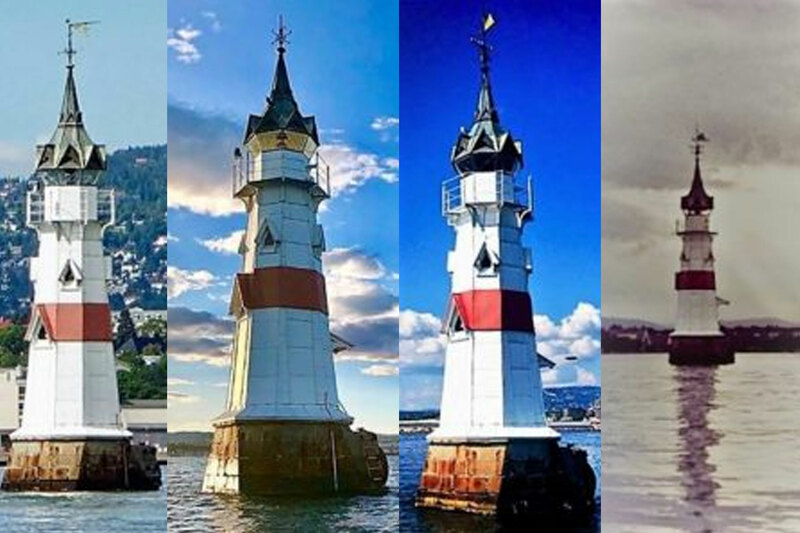 When the steamship DS «Norway» hit the Kavringen islet in 1890, a requirement for better lighting was raised. The construction work at the Kavringen Lighthouse began in April 1891, and the lighthouse was completed and commissioned on August 1, 1892. In 1932 they changed from gas to electric power. In connection with the 1000th anniversary of Oslo, everyone in Oslo was given the opportunity to submit their greetings to the future. This was greetings in the form of letters, cards and miscellaneous items to be stored for 1000 years inside a container. The container, or the time cap as it was named, is made of a special material. The contents were gassed and sterilized to last for 1000 years. 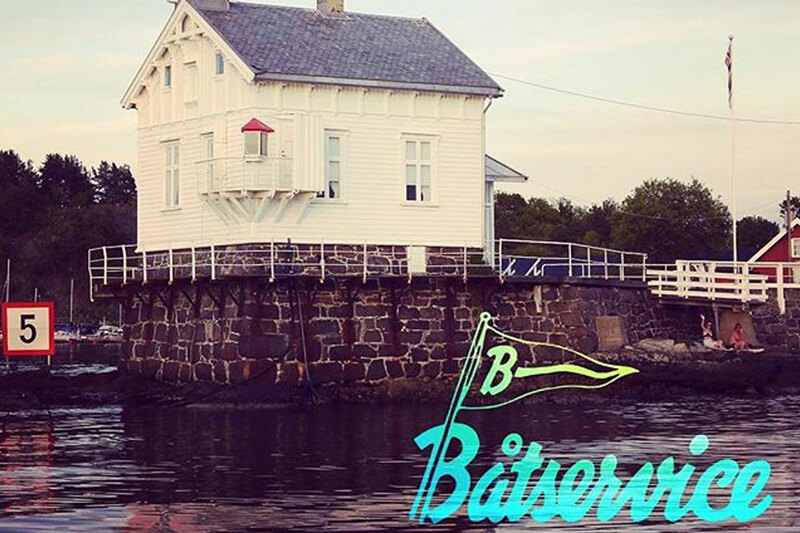 The entire time capsule is stored inside the Kavringen lighthouse, and every year on May 15, everyone can join to ensure that the time capsule is in place. On St. Hallvard’s day, May 15, 2000 the time capsule of titanium was bolted into the lighthouse. 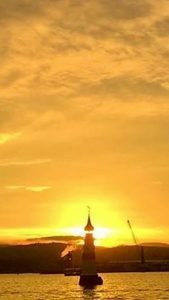 The cover is designed as a copy of the lighthouse. It can only be opened in the year 3000. St. Hallvard is the patron of Oslo. On the inlet next to the Lighthouse there is an exceptionally rich seabird colony and the islet is therefore protected as a seabird reserve. Often when on a sightseeing boat, one can spot a seal sunbathing here. From 15 April to 15 July there is a ban on traffic on the island. 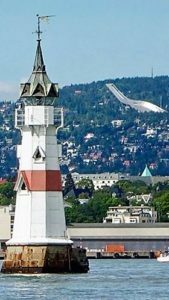 The Kavringen Lighthouse was built in 1892 and is located on Søndre Kavringdynge in the western entrance to Oslo harbor. The foundation of the Kavringen lighthouse consists of an octagonal concrete block that is cast directly on mountains (depth -3.25m), and an overflow wall of chopped granite. It was originally red painted, but is today white with a red belt. The tower’s height even the spear point is 19 meters. 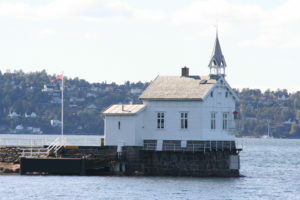 The white building at Heggholmen, on the photos, is the oldest lighthouse in the Oslo fjord area, built 1826. The very first light housekeeper at Heggholmen signed a contract to have this powerful light shining from his bedroom window to guide the ships towards the harbor at night. At that time only sailing ships were in use, and you can imagine the Light house keepers surprise when one night he woke when the bowsprit of a ship came crashing through the window of his bedroom. Heggholmen is located on Heggholmen in inner Oslo fjord, at the main entrance to Oslo harbor. The lighthouse is built as a corner lamp on a wooden building. On the roof of the building there is a tower with a fog watch and nautophone. The building as today was built in 1876 and it was built in Swiss style. The lighthouse differs in this way from most of the other woods in the country. 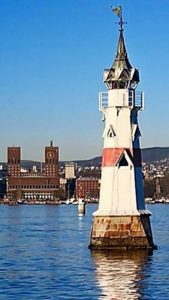 At its location in the inner Oslo fjord, the light house has great environmental significance. 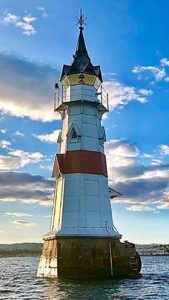 The lighthouse gained electrical operation in 1928 as the first in Norway, and was automated in 1959. The four-quarter position was retrenched in 1972, and has since been unmanned. Today it is a meeting and representation room for Oslo Harbor. 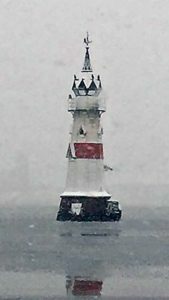 When passing the light house on the 2 hour sightseeing tour on the Oslo fjord, a lot of passengers belive this to be a church. 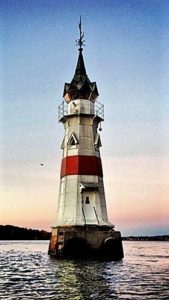 This is a gem of lighthouses in the inner part of the Oslofjord. © 2019 Norway Yacht Charter AS. Innhold er kopibeskyttet.